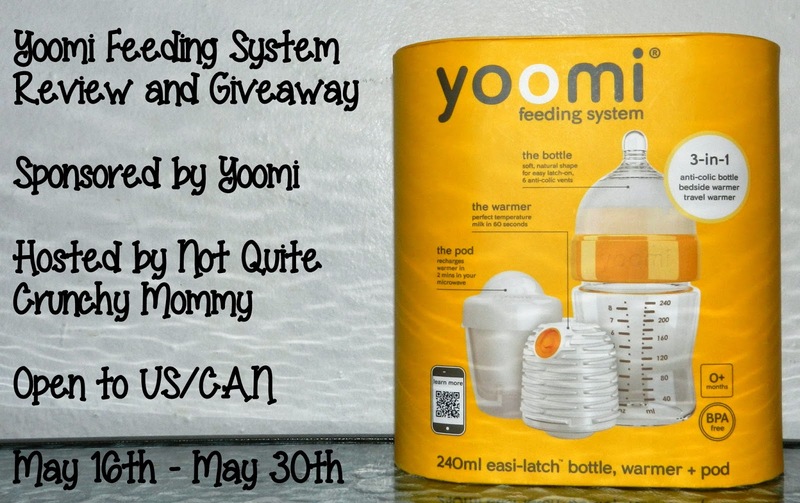 Welcome to the Yoomi Feeding System Review and Giveaway, sponsored by Yoomi and hosted by Not Quite Crunchy Mommy! Yoomi’s feeding system is an amazing way to warm up formula or breast milk quickly, easily, and on the go. You can read all about them at Not Quite Crunchy Mommy’s full review. How wonderful to find new ways to do things, when you are on the go. Babies don’t like to wait! This is an easy way to shorten their wait times, and make it easy on you! One lucky reader of Not Quite Crunchy Mommy and Tales From A Southern Mom will win one (1) 8oz feeding system courtesy of Yoomi!. To enter for your chance to win the Yoomi Feeding System Giveaway, simply use the following Rafflecopter form.Good luck!a Rafflecopter giveawayThe Yoomi Feeding System Giveaway is open to US and Canada resident 18+. The giveaway will end as 12:00am on May 30, 2014. One winner will be chosen at random via Rafflecopter. The winner will be sent an email and will have forty-eight hours to respond. If no response is received within forty-eight hours, another winner will be chosen. Not Quite Crunchy Mommy and Tales From A Southern Mom are not responsible for prize fulfillment. Would like to give them to my daughter, as she is expecting second baby in October.